In April 1997 Alison Griffin, three-months pregnant and with a toddler in tow, took a two-week holiday in Libya. When she got home, she went straight to the local library, five doors along from her house on St James Street, Walthamstow, to return her borrowed guidebooks. A sign on the door said the library was closed. Permanently. Other local people felt the same way: Alison’s lounge quickly became the headquarters of a campaign to get the library reopened. But Waltham Forest council wouldn’t budge. In 2010 it decided to sell the building to a property developer. Yet all was not lost. A sympathetic local councillor – Clare Coghill – negotiated an eleventh-hour chance for the campaign group to find a viable community use for the building. A contact suggested they apply to Nesta for funding under its Neighbourhood Challenge scheme. “I filled in the Nesta forms as best as I could, in the hope that if we got on the shortlist, we could at least delay the sale of the building,” says Alison. “But that was all I could realistically hope for.” Much to her surprise, the application was successful. Nesta promised the group £150,000. So it was that in April 2011, four years after she returned from holiday to find the library closed, Alison and others from the campaign team were standing on its doorstep, holding a Tupperware box full of keys. Through the spring and into the summer local people worked to refurbish the building and get it open. Along the way, they constituted themselves as a charitable body, The Mill, with Alison as the first chair of trustees. The Mill’s purpose today is the same as it was when it first opened: to be a place where “people can come together and make things happen.” It has a children’s room full of books and toys; a large open space where people can meet; two smaller rooms for events and workshops; upstairs office space that provides some rental income; and a small honesty library – a touching and well-used nod to the building’s history. Anyone can drop in for a cup of tea and a chat with friends or with the volunteers who are always on hand. There are events and classes in everything from yoga to baby massage, from gardening to chess. Most of these sessions are organised and led by local people themselves. Indeed, The Mill acts as a kind of incubator for micro-businesses. It makes small grants – often just £50 – so people can try things out on a small scale. One group of elderly residents formed Waltham Forest Community Radio, to celebrate and archive the lives and experiences of older people in the community. Another created the Asian Women’s Support Group. 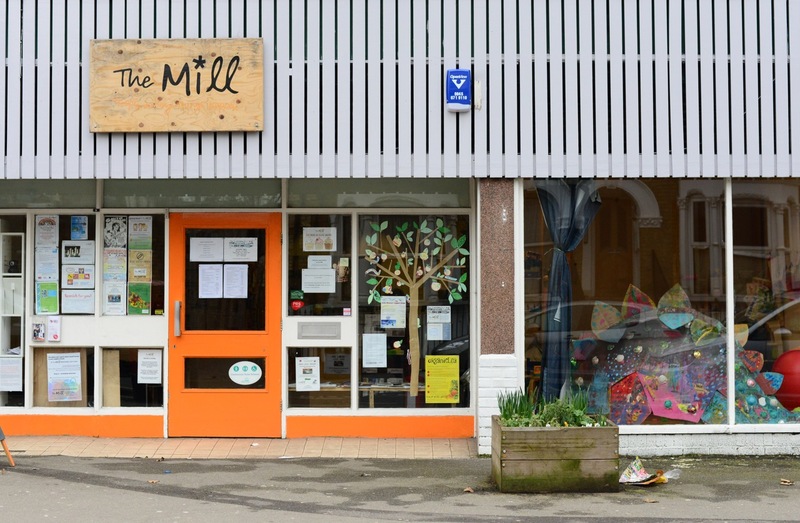 The radio station secured funding under The Mill’s “Older People’s Pop Ups” scheme, which encouraged people to offer activities for older residents. The women’s group came from the “Grow Your Idea” scheme, which backed ideas that could connect people, help them to share their skills and experience, and build their self-confidence. Another project, “Mill Mentors”, recruited and trained volunteers who would then help local people set up groups and activities of their own. Despite its early success, at the end of The Mill’s first year the outlook was darkening. The initial funding was about to run out. It wasn’t clear how long the centre could stay open, or whether it would have to slash the services on offer. “It looked like it was going to be extremely difficult,” says Alison. The Mill turned to The London Community Foundation for help. It applied successfully for a small grant that provided enough money to employ an admin officer for a year. “That grant from The Foundation was essential. It gave us the time we needed to find more income,” says Alison. The part-time admin officer has since become a full-time centre manager, with an assistant working under her. They make sure The Mill’s office tenants are properly looked after, and keep the centre running smoothly. Looking to the future, there are plans to create more office space for rental income and to build a kitchen. Then people would be able to eat together, teach each other to cook, and experiment with pop-up restaurants. That could create new business ventures, while giving people skills to combat food poverty.